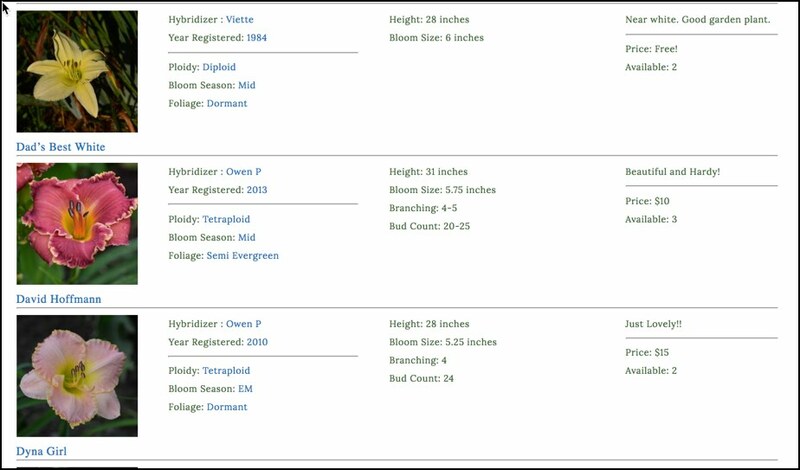 Garden Tracker for Daylilies supports two different ways to Sell Daylilies – Catalogs or an Online Shop. 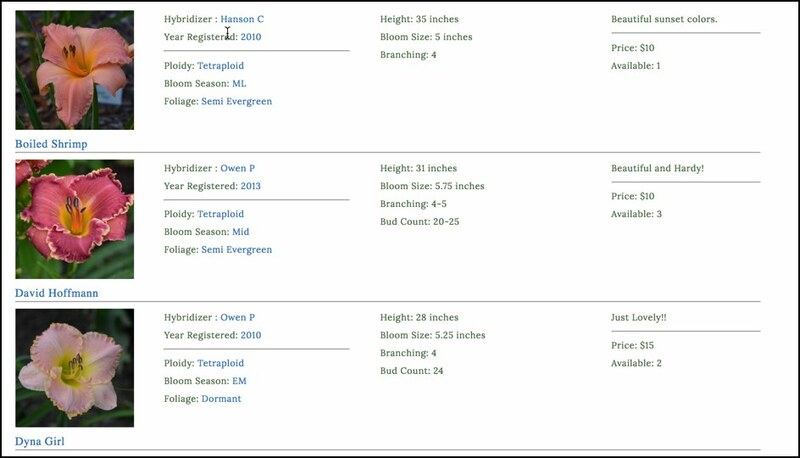 The Catalog component offers a simple and dynamic way to Sell your Daylilies and Seedlings! Although Catalogs do not provide the sophisticated features of an Online Store, they are a quick and easy way to display your daylily wares for sale! Catalogs are quick to create, and easy to distribute! If you want to include Seedlings, you should Promote those Seedlings to Daylilies first. As a Listing (Picture, Name, and other information. Enter the Description, Price, and Availability information for each daylily in your catalog. The easiest way to add the Description, Price and Availability information for each item is through the All Daylilies Admin List. Use the Catalog Info view. See documentation here. This feature is handy when you want to charge for the more expensive items in your catalog, but want to get rid of some of the others. 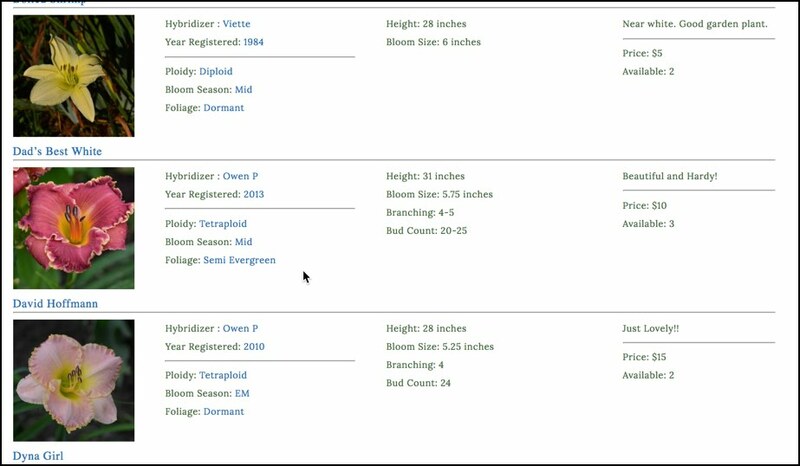 Once you have the Catalog displaying with the info the way you want it, how do you use it for selling?